Chengdus & Don'ts: Happy 40th Birthday Xiao Yang! 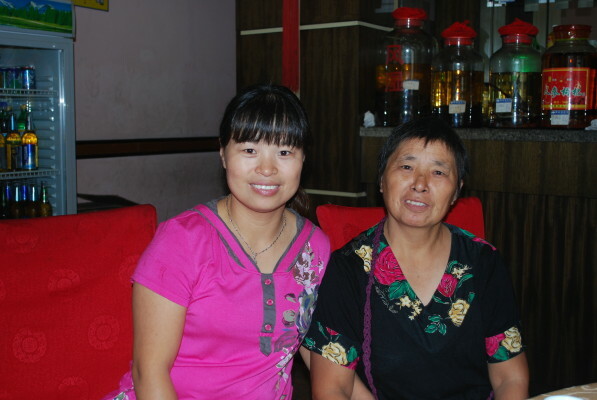 This past Saturday we had the pleasure of having lunch with our dear ayi, Xiao Yang for her 40th birthday. It was really nice to see everyone and to have lunch at one of their favorite eateries. Here are a few pictures of the day. Xiao Yang and Da Yang having lunch! Xiao Yang's sister-in-law who is extremely pregnant in this picture! Good new, she left the lunch with an upset stomach and ended up in the hospital the next day with labor pains and on Monday she gave birthday to a healthily baby girl! 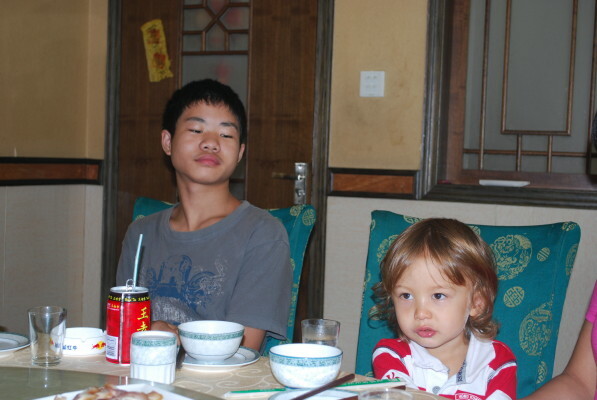 Xiao Yang's son Bobo with Angus. Angus loves Bobo! There was quite an array of interesting cuisine on hand for the birthday lunch. 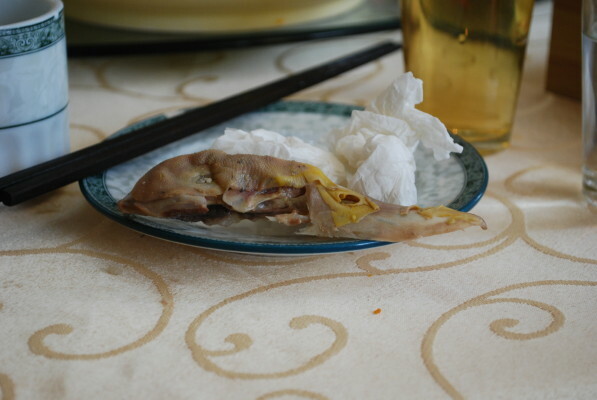 Here was one of the delicacies, duck head! We also were served up fish stomach, rabbit and pig's ear! I just love that the Chinese do not waste anything! The man on the far left is one of Xiao Yang's younger brothers who became the proud Papa on Monday. The man on the far right is Xiao Yang's boyfriend, although that is currently debatable.